I want to let my cat in, but not let them go out again. Can a PlexiDor do that? Yes, the small PlexiDor intended for cats and small dogs has several settings on the lock. 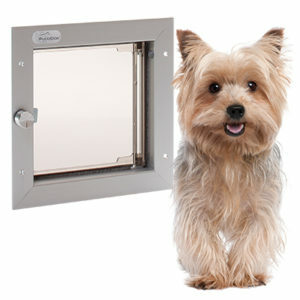 That is, you can set it to allow your pets to come in, but not go out again. Or, allow them to go out, but not come back in.